Effective parent-teacher communication is a cornerstone to effective parent involvement. 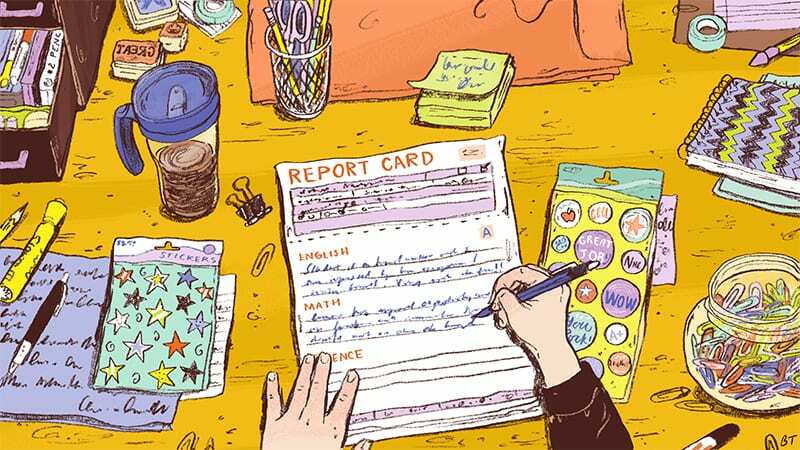 Each progress report or report card provides an opportunity for teachers to give parents insight into their child’s performance beyond a letter or numerical grade for conduct or academics. 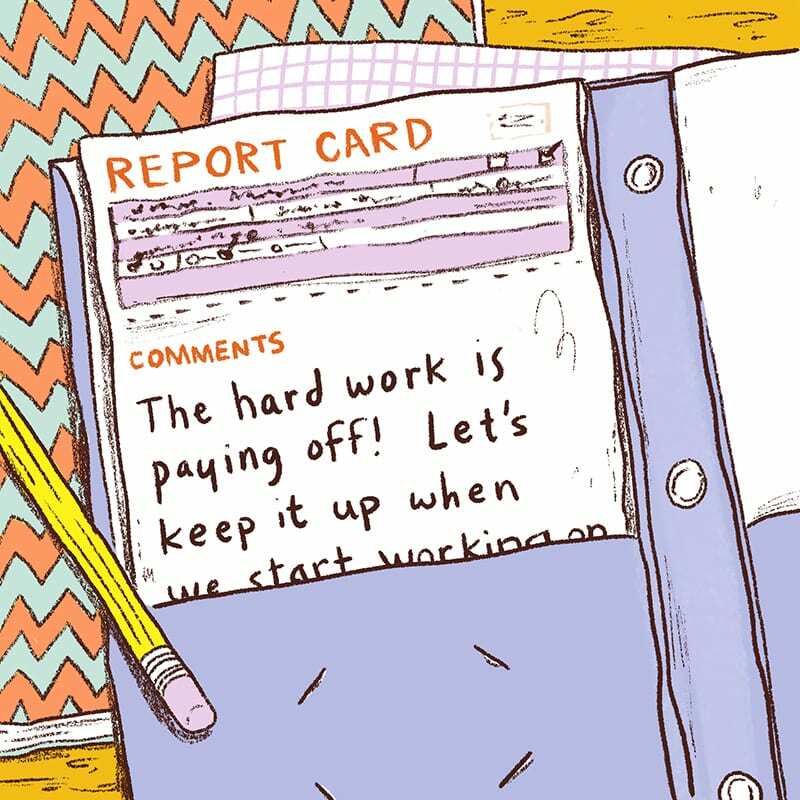 Your student comes to school each day prepared to work hard. Your child exhibits exceptional focus and diligence in their work. Your student is excellent at taking ownership of their learning. Your student has a fantastic work ethic. Your child is a role model in the classroom. Your child exceeds expectations on a regular basis. I love that your student does their best every single day. I enjoy how invested your child is in their learning. I appreciate your child’s dedication to their studies in my class. Not only is your student strong academically they are a leader in the classroom. Your student has come so far in [subject]! Focusing on [important skill] is the next step. What progress your student has made! They still struggle with [important skill], so that should be our next focus. 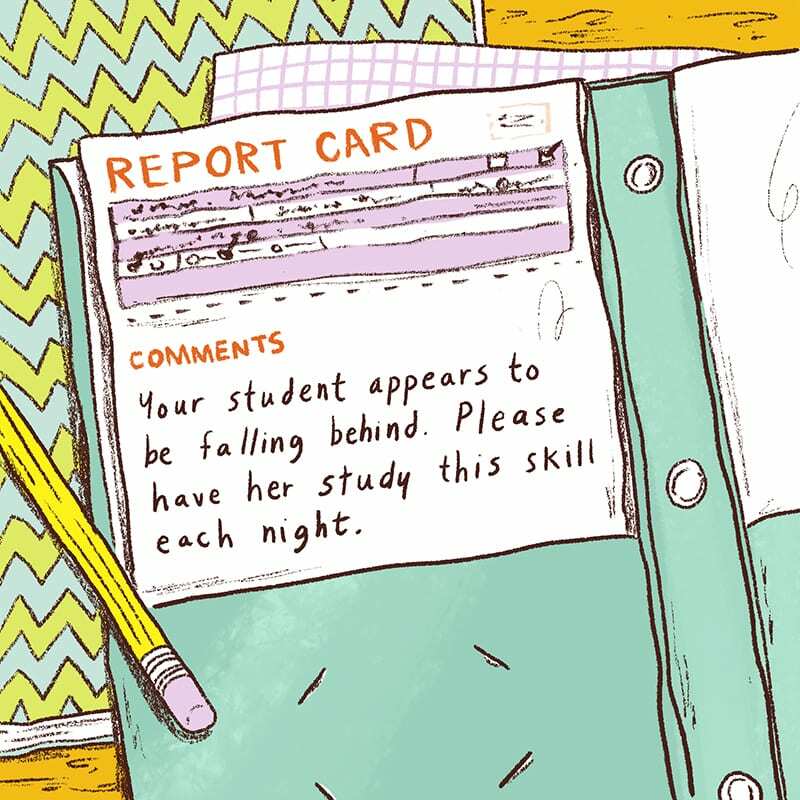 If your student works as hard on [important skill] as they have worked on [improved subject], then they will be caught up in no time! The hard work is paying off! Let’s keep it up when we start working on [next skill]! Your student’s persistence is exemplary. Your student understands the material well. 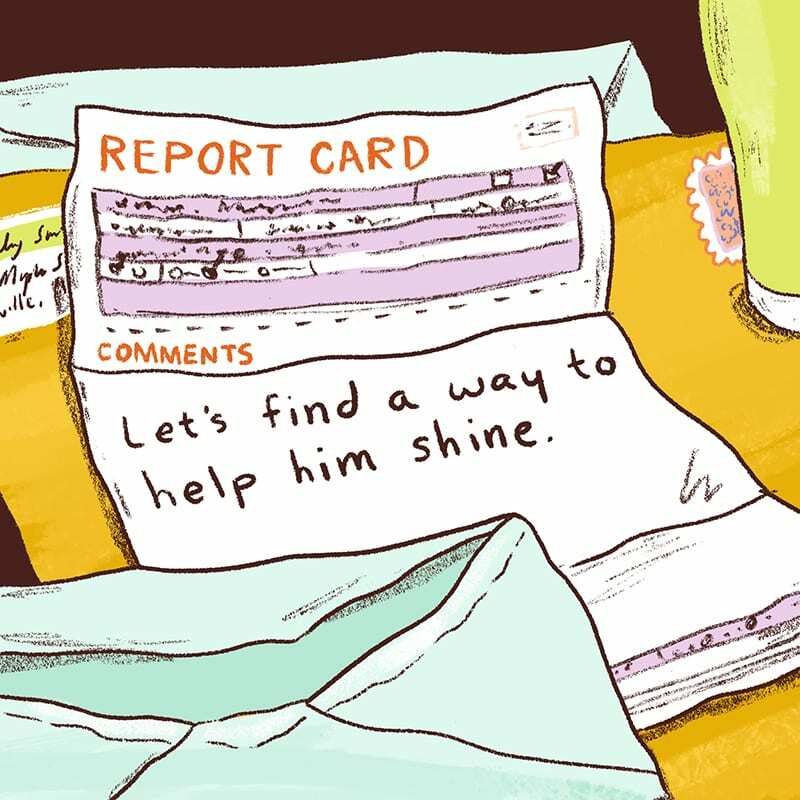 Let’s find a way to help them shine. 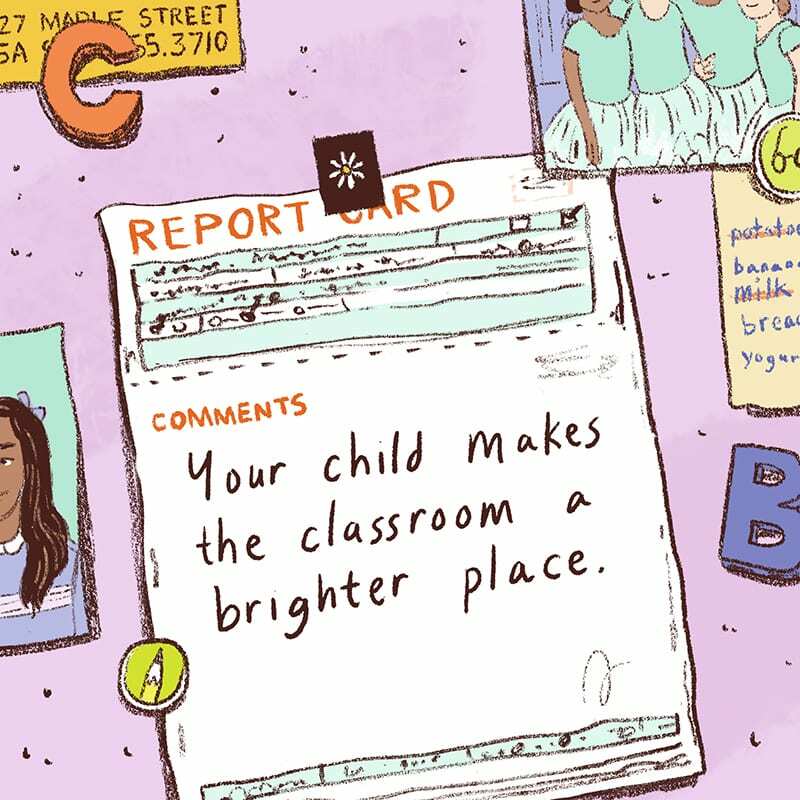 Your child has the potential to be at the top of the class. With a little more effort, your child could move up to the advanced group in [the subject where effort is lacking]. 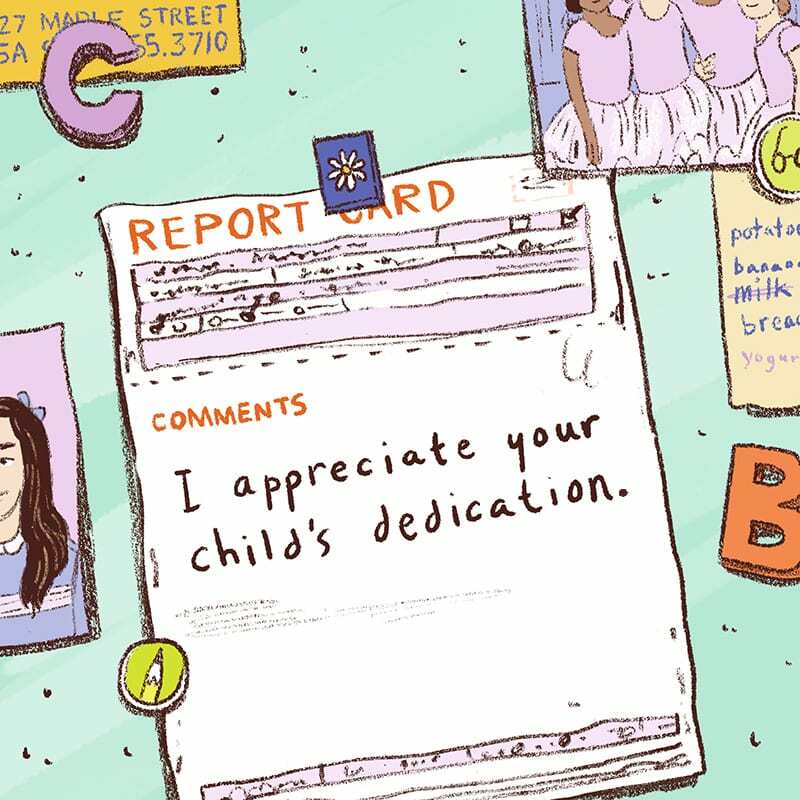 Your child puts in great work in [preferred subject]! If they apply those skills to [non-preferred subject], there’s no stopping them. Let’s work on motivating your student to reach their potential. Your student appears to be falling behind in [subject]. Please have them study [skill] for [time] each night. Your student did not master [specific skill]. Review sessions are available [time frame]. Your student may need additional assistance with [skill/subject]. Completing classwork and homework is the first step to improving. Your student needs more practice with [specific skill]. Please check that they have completed their homework each evening. We will continue focusing on reinforcing your student’s positive efforts. 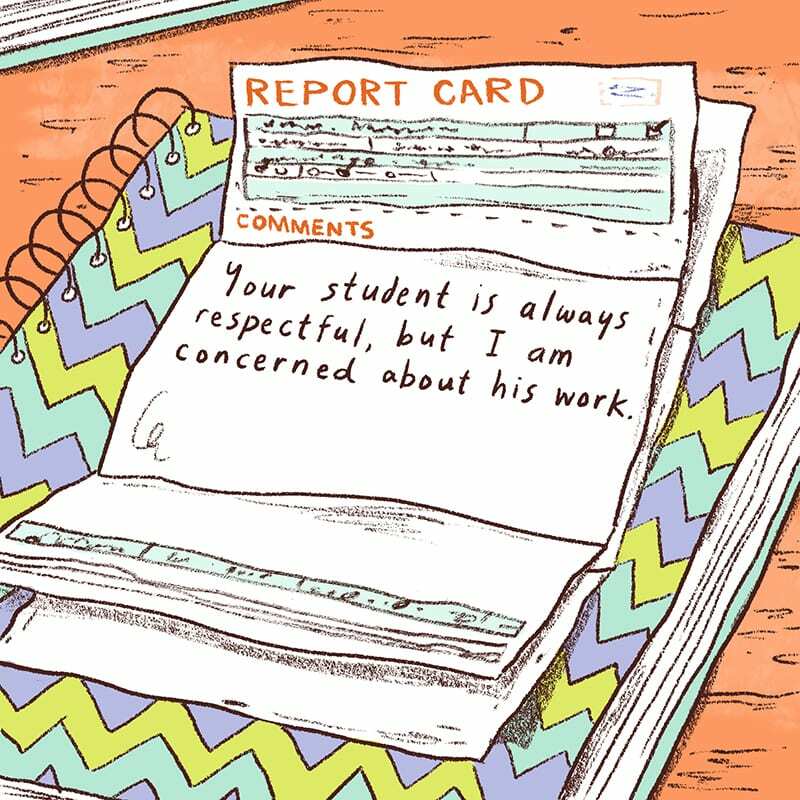 Your student is always respectful, but I am concerned about their work. When can we meet? Your child is inquisitive and engaged in class, but they have quite a bit of missing work. Please call me to discuss some strategies. Your child has a wonderful sense of humor/is helpful/is kind but fails to turn in their assignments. Let’s meet to come up with a plan to fix this. Let’s work on strategies that will help your student follow through on their assignments. Your student struggles with [insert DESIRED behavior here]. We will continue to work on this behavior at school. 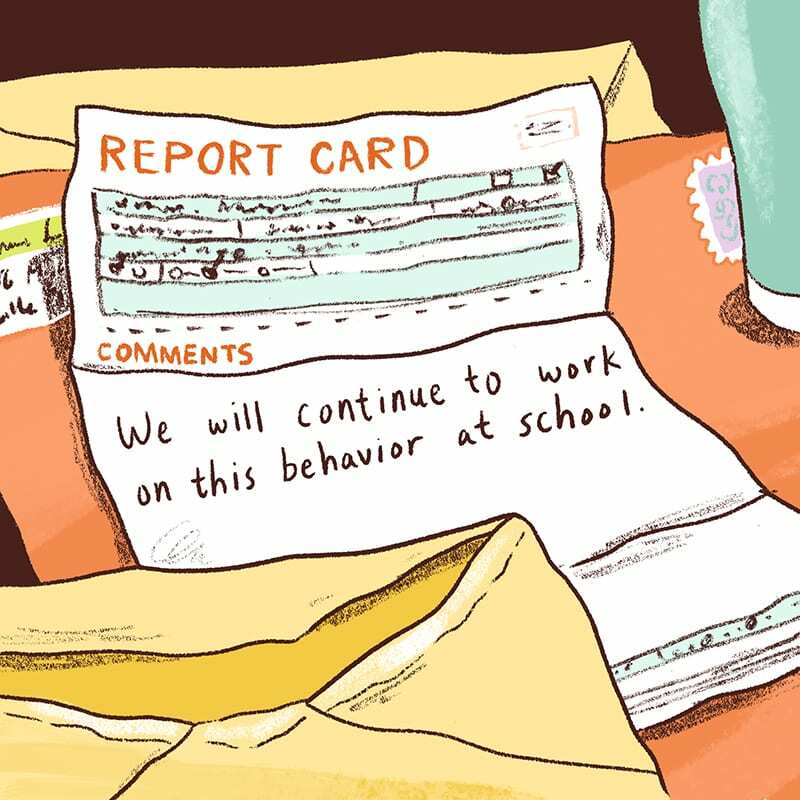 The primary behavior concern is when your student [insert UNDESIRABLE behavior here]. We will continue to reinforce appropriate behaviors. Your student exhibited [UNDESIRABLE behavior] [this many] times this quarter. Let’s work to reduce the incidence of this behavior to [goal] times. When your student is focused, they are a pleasure to have in class. Let’s meet to discuss strategies to keep them on track. Not only is your child a strong student, they are a wonderful human being. 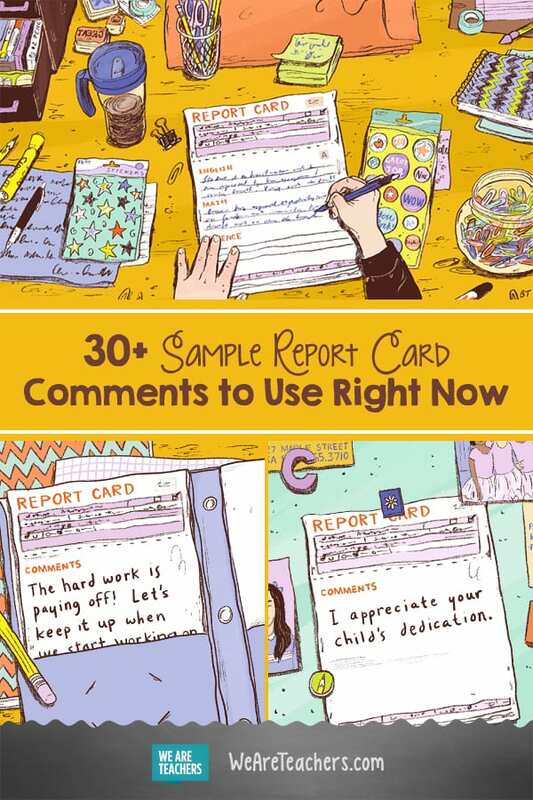 Do you have sample report card comments to share? Come and join the discussion our WeAreTeachers HELPLINE group on Facebook. Plus, how to deal with helicopter parents.